I literally cannot calm down due to the fact that I feel my months are slipping through my hands like one of those tube-snake things you used to play with as a kid. 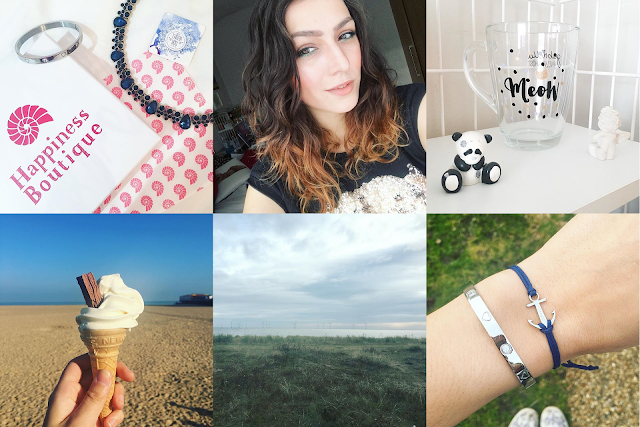 October has gone SO fast that when I was publishing my last outfit, I realised I hadn't even thought about my monthly favourites or writing this post! I literally wasn't aware that in a few days it would be November and there would be 2 months until Christmas. CRAZY. How cliché of me to write my opener about how quick the month's gone though right? Read on though please, I had a good month. LOL. 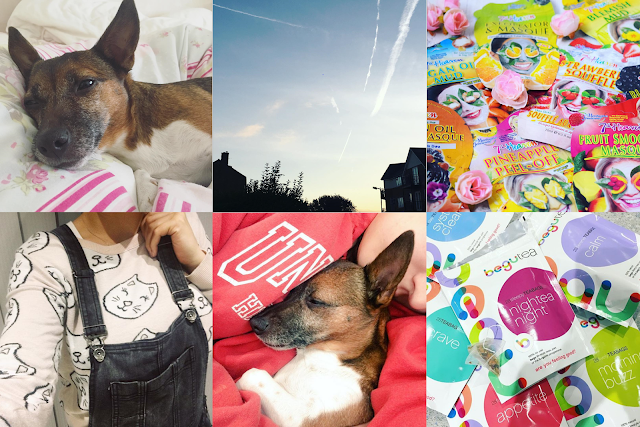 So October began the wearing of jumpers, a half term getaway to look forward to, some cool blogger mail, face masks galore and extra cuddles with my little mutt according to my Instagram. I'm finally getting back into Instagram now so I feel like it's really showing what my month's been about this time around. Earlier on in the month I think I was finally getting into the swing of things with work and my routine. I still haven't found a blog/social/work/life balance but I'm getting there and I've had some wonderful opportunities come through this month that I can't wait to write about. But I've learned how to balance me time, work time, study time. I just need to comfortably squeeze in blog time - but it's possible! Anyway, though the beginning of my month wasn't quite exciting the second half of my month definitely was more exciting. So during my last two weeks of October I took some time to reorganise my wardrobe for autumn/winter. It doesn't sound too exciting, but when you rediscover jumpers and your comfiest pyjamas... Yes. It was exciting. Like re-shopping the old wardrobe. I also added some bits into my wardrobe which you may have seen in this little haul I treated myself to the other week. My brother also added that cute GabriellaxPrimark mug into my life which I adore. Thanks bro - you sweetheart! This last week has definitely topped off all the weeks in October and reset my batteries for the busy term to come. John ever so sweetly whisked me away to Great Yarmouth for one of my favourite types of holiday - a caravan getaway. Honestly, if you're an introvert like me and love your indoorsy chill-out time, this is for you. He booked us a caravan with a beautiful view of the sea, and we had the loveliest time there. We spend the first full day in Great Yarmouth beach eating ice cream and walking along the coast. The weather was beautiful too, so I was buzzing with happiness. We also spent some time in Norwich city because it is beautiful and full of some lovely shops, and the last few days we hung out in Great Yarmouth and in the caravan watching TV, chilling out and playing Pokémon Go when we could. The candies and Pokémon because of the Halloween event though... YAS. Winning or what? It's overall been a lovely month with nothing really to complain about. But November is here and I plan to make it awesome, busy and productive! I really want to finally get into that healthy eating an working out I keep going on about - I've had a few things kick me into the reality of it so I feel motivated to do it, and I also really want to get my blogging schedule sorted once and for all. Most of all, I'm looking forward to the #BloggersXmas run by Kirsty and Jasmine from Soeurs de Luxe. Not only do I get to see those two awesome sisters, but I get to see Ana and Tanya again! Exciteddddd. How did October treat you this year?